Hello all! 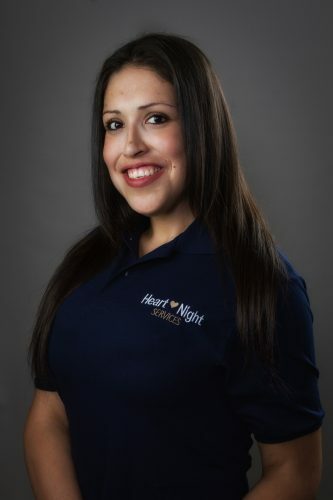 My name is Margarita Sandoval, and I am excited to be a part of your journey with Heart Night Services. Growing up, I was placed in the foster care system at a young age. I suffered constant court battles, and custody trials. The only people I spoke with were social workers, case workers and therapists. However, all I ever wanted was a friend, someone to be there for me. Therefore, I found my calling to work with people, to help them in any way that I could. In 2017, I will graduate from Azusa Pacific University with a Bachelor’s of Arts in the field of psychology with a concentration in Marriage and Family Therapy. Because I felt called to helping others, in the future I plan to attend school for a Master’s Degree in Social Work in hopes to open my own clinic for therapeutic, and counselling practices. 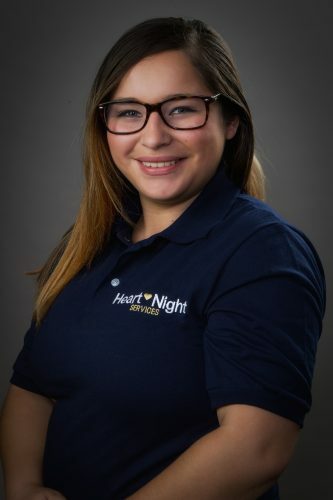 I have five years of experience with working with infants, children and young adults from newborns until twenty-four years of age. I have also volunteered for a company whose worked with dependent adults, disability, and hospice care for two years. I have internationally traveled to Mexico, South Africa, and Costa Rica on mission’s trips, and study abroad experiences within the last year (and will hopefully continue). Though I do contain a significant amount of involvement in these activities, I have learned that it isn’t about my hardships that have made me special, but the way I overcome them. I fell that with my expertise, and motivational drive, I would be delighted to become an extension of your family. Greetings, my name is Daisy. I am a Practice Coordinator for a Spine surgeon and currently pursuing my degree in respiratory therapy. I have been in the medical field for 13 years, mostly working with children in pediatrics and adults of geriatric age. I believe my calling began as a child when my mother opened her heart and began to foster children, and thereafter, ran a child day care. Thanks to that, I gained a vast array of experience and volunteered as a Sunday School teacher for 4 years and youth counselor for 6 years. I enjoy interacting with people of all ages and walks of life. I look forward to working with you, and thank you for considering me to become an extension of your family. Hello, my name is Nicki Rosas. I really enjoy working with children and have been doing so for the past eight years. I recently graduated from Cal State Long Beach, with a BA in psychology and a minor in child development. In the future, I hope to pursue a career in which I can foster the lives of children and help them in their development. Growing up I always wanted someone to understand the life struggles that I faced. And because of that I feel that I can be there for these children, as well as adults. I love working with children and the elderly as well. I have been working with Meals on Wheels for about two years now and I really enjoy it. 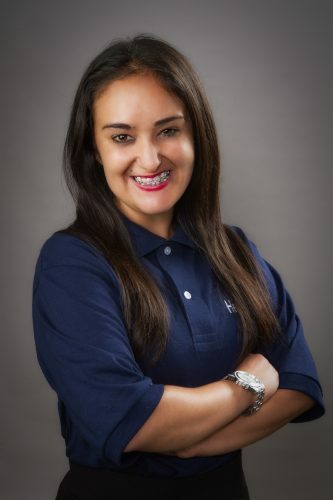 I have a positive outlook on life, I love to create new ideas and finding new information, and overalal I cannot wait to become part of your family, whether it be working with children or adults.